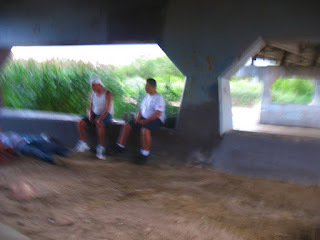 Intoxicated, aggressive men under the secluded 4th Street bridge along the Fountain Creek Trail intimidate, prevent and discourage would be walkers and cyclists from being physically active. Trail policing, patrolling, maintenance, and improvements along the trail could discourage this type of activity and encourage people to use the trail more frequently. This is especially important for women traveling alone.